Hooks & Coat racks There are 18 products. 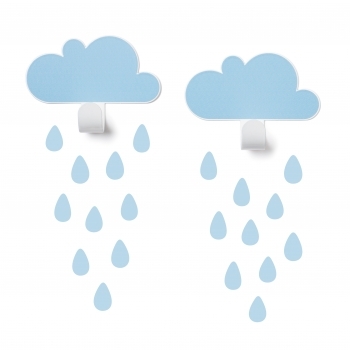 The blue cloud hooks are made of steel and come with 20 matching raindrops stickers. The wall hangers will bring a dreamy touch to every kid's room. 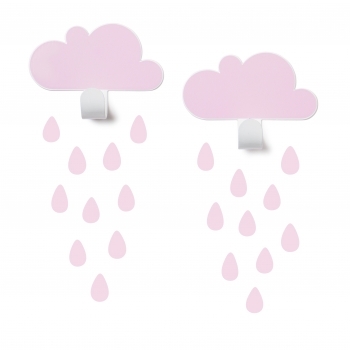 The pink cloud hooks are made of steel and come with 20 matching raindrops stickers. 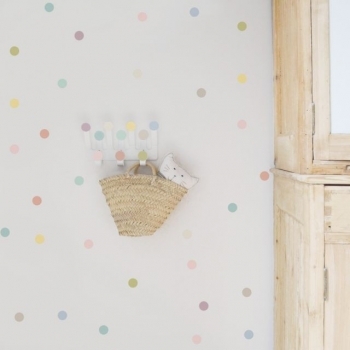 The wall hangers will bring a dreamy touch to every kid's room. 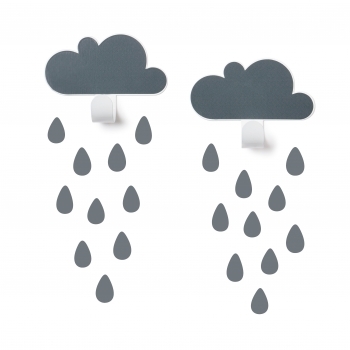 The grey cloud hooks are made of steel and come with 20 matching raindrops stickers. 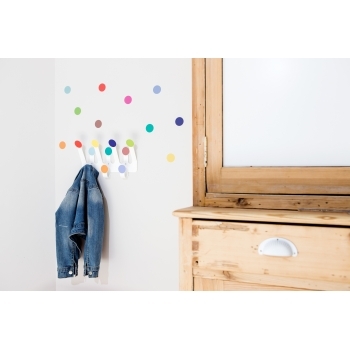 The wall hangers will bring a dreamy touch to every kid's room. 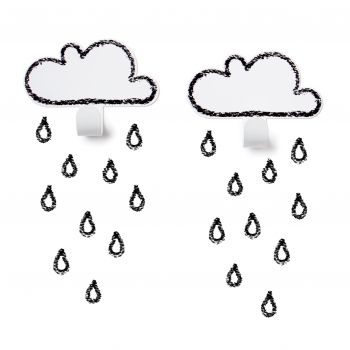 The white cloud hooks are made of steel and come with 20 matching raindrops stickers. The wall hangers will bring a dreamy touch to every kid's room. Let it rain! 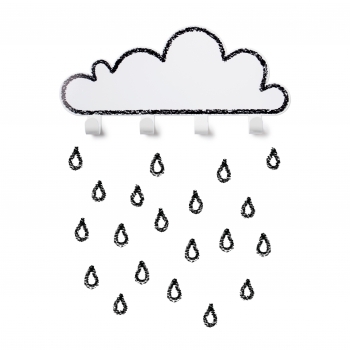 The white big cloud hanger is made of steel, 20 matching raindrops are included in the delivery. Nice and practical decor for kids room. Let it rain! The blue big cloud hanger is made of steel, 20 matching raindrops are included in the delivery. Nice and practical decor for kids room. Let it rain! The pink big cloud hanger is made of steel, 20 matching raindrops are included in the delivery. Nice and practical decor for kids room. Let it rain! 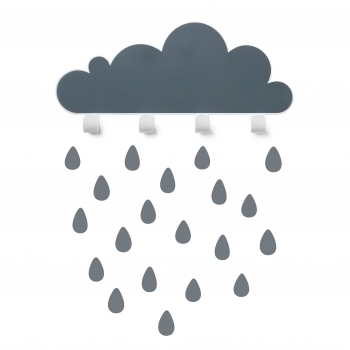 The grey big cloud hanger is made of steel, 20 matching raindrops are included in the delivery. Nice and practical decor for kids room. Bring the Alps to your room. 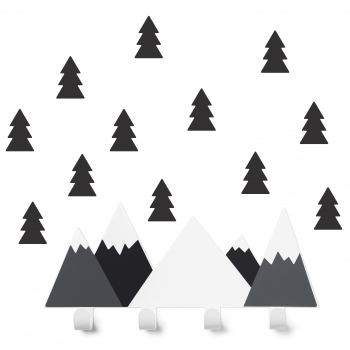 The cool grey mountain hanger is made of steel and 12 matching stickers come with it. A wonderful addition to your kid’s room. Bring the Alps to your room. 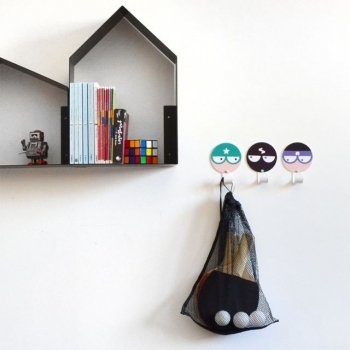 The cool black mountain hanger is made of steel and 12 matching stickers come with it. A wonderful addition to your kid’s room. Dot hooks are a classic. 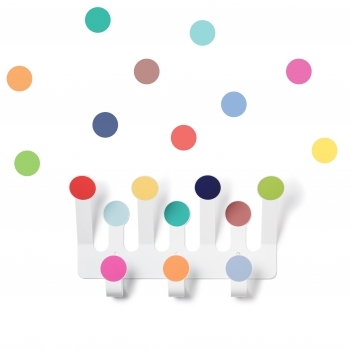 The colourful hangers are made of steel and 10 matching stickers come with it. A wonderful addition to your kid’s room. Dot hooks are a classic. 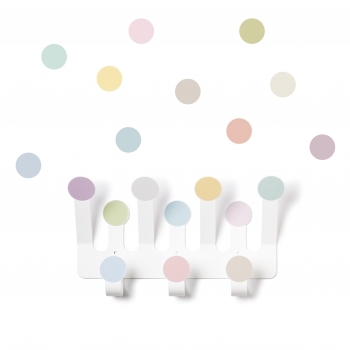 The pastel hanger is made of steel and 10 matching stickers come with it. A wonderful addition to your kid’s room. 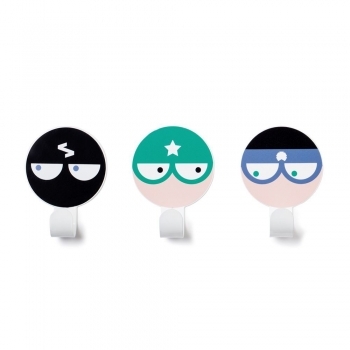 A set of super-cool superhero-hooks. The 3 different hangers are made of steel and easy to fix on the wall. 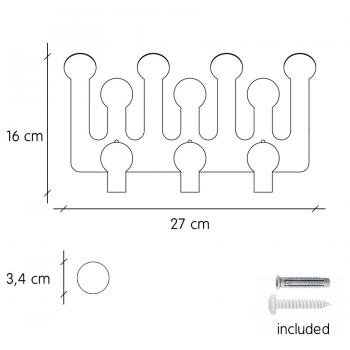 Screws and plugs are included. Dot hooks are a classic. 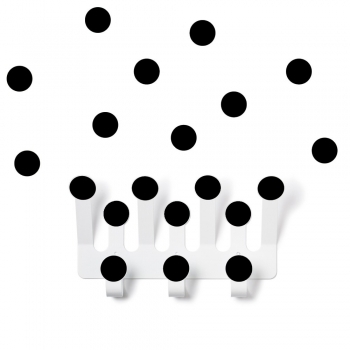 The black & white hangers are made of steel and 10 matching stickers come with it. A wonderful addition to your kid’s room. Wall hanger with magnetic note board in white lacquered steel + 60 magnetic letters in black. You can leave messages, make lists, write notes, reminders, congratulations or whatever you want! Wall hanger with magnetic note board in white lacquered steel + 60 magnetic multicoloured letters. You can leave messages, make lists, write notes, reminders, congratulations or whatever you want! This cool Bear Hook is the first collaboration for Tresxics and Tellkiddo. 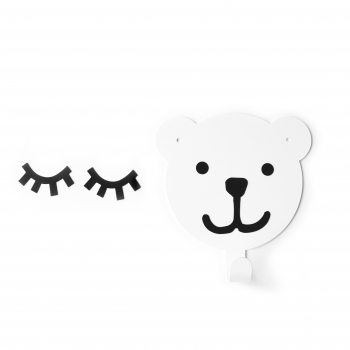 The white wall hanger has magnetic eyes, nose and eyelashes. You can create infinite faces! This cool Rabbit Hook is the first collaboration for Tresxics and Tellkiddo. 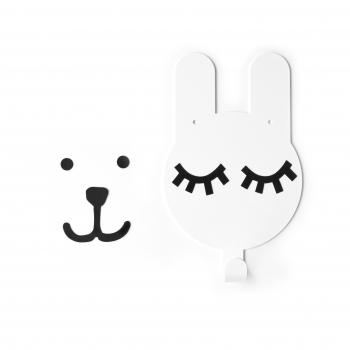 The white wall hanger has magnetic eyes, nose and eyelashes. You can create infinite faces!